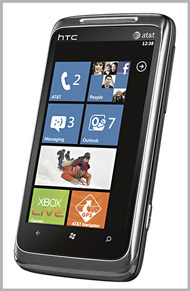 The mobile computing industry greatly anticipated the launch of Microsoft's operating system Windows Phone 7. The event catapulted Microsoft into the smartphone battlefield with Google's Android and Research in Motion's Blackberry. In such a competitive consumer electronics space, Microsoft set out to market the phone as more personal and user-friendly than its rivals. Ada Agrait, Microsoft director of digital marketing for the Windows Phone, set out to underscore the phone's personalization with a campaign encouraging people to interact with it online and "bring the experience to life," says Agrait. Deep Focus, the New York-based digital and social media engagement agency, built an interactive, digital replica of the smartphone and placed it within the walls of the Windows Phone Facebook page. The page itself was attracting thousands of visitors and Facebook followers. Deep Focus CEO Ian Schafer says the goal was to build something that demonstrated the exact features of the Windows Phone 7 with the ability to withstand the load of thousands of people simultaneously interacting online. "It had to look exactly like the phone," he says, but the interactive demo had to be simple to use. The demo allows users to im-port Facebook friends and pictures to the phone to see how it looks on the interface. "We wanted people to get a sense that it had already been in their pocket a few months," says Schafer. The demo launched in conjunction with the smartphone last October. Roughly 1.4 million people have interacted with the demo, reports Agrait, many of those users being introduced to the demo by Facebook users sharing or commenting on it. The target heading into the campaign was 250,000 views. "I'm surprised by how many people interacted with it," says Agrait, adding she hopes to transfer the strategy and tactics of the campaign into other scenarios off the Facebook platform. "How can we bring this experience to where other consumers are?" she asks.